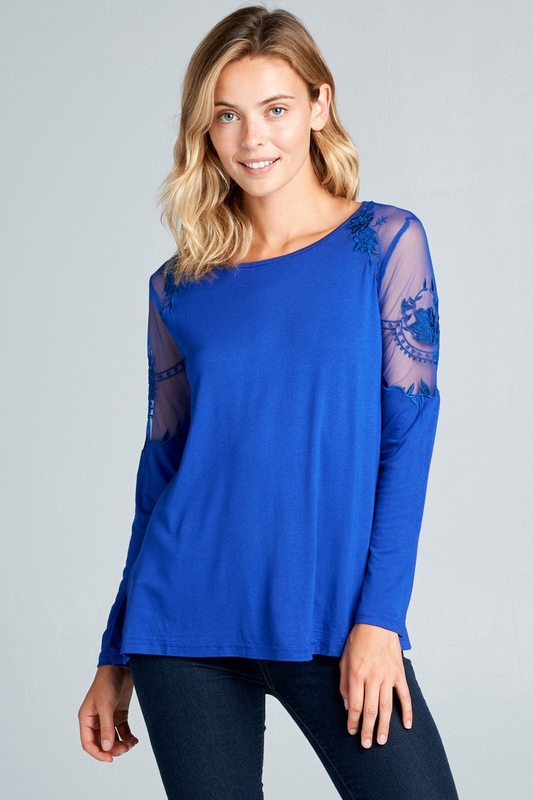 Round-neck top with lace detailing and floral embroidery on the sleeves. Made from a stretchy fabric (95% rayon, 5% spandex). Model is 5`8 wearing size small.